I am missing Emily already. I wish we lived closer. We have so much fun together even if we are just sitting around till 2 am talking and watching you tube videos. There is never a dull moment! LOVE that striped top! Looks so pretty on you! Love that picture of you and Emily too! So cute! Love how that top is left longer in the back! so stylish! Great top! Love the jewelry! Love your jeans! So cute! 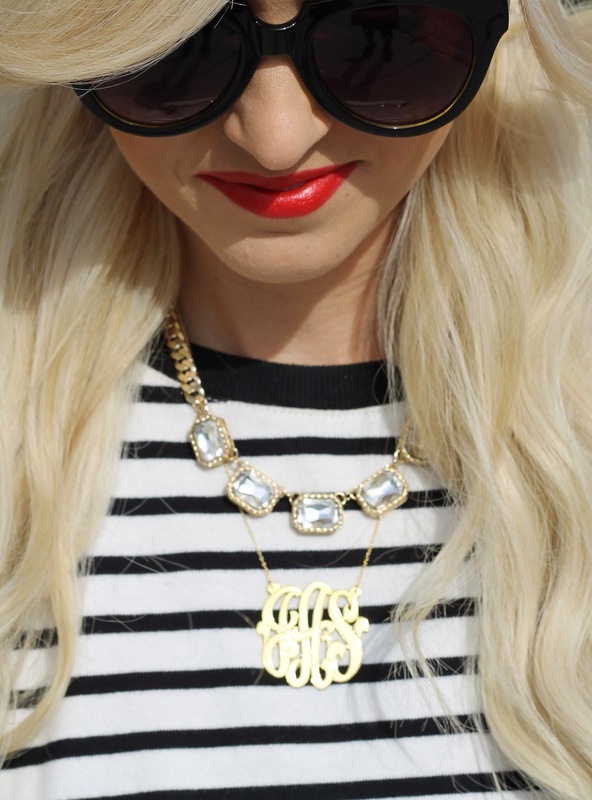 Love the striped shirt, the red lip and heel are an amazing pop of color! 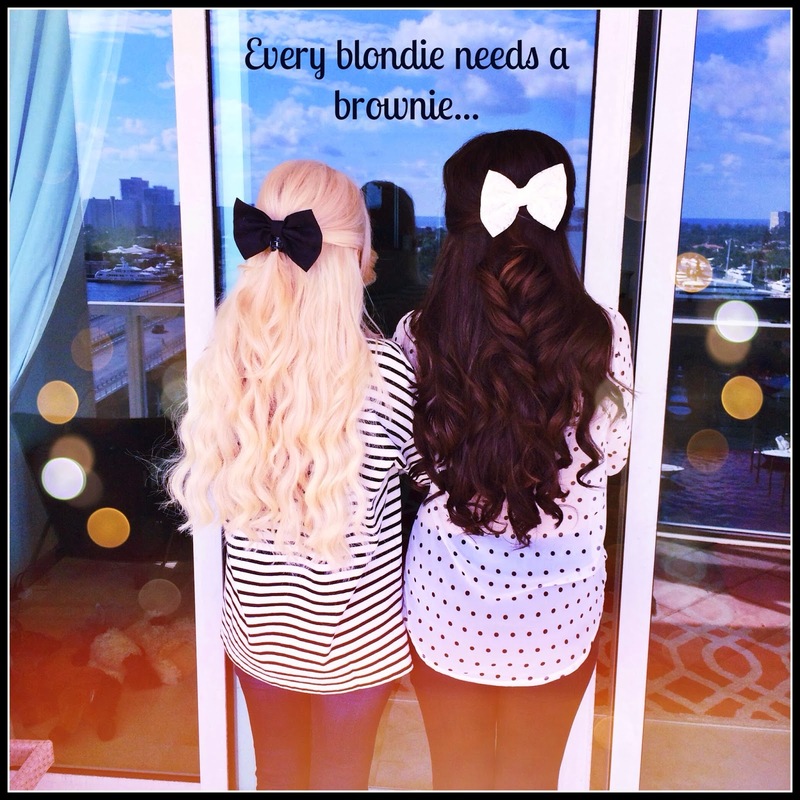 Love the bow in your hair, such a great touch! LOVE this outfit! Those heels are SO cute! Another Tory bag that I am insanely jealous of! I love the classic shape with the feminine scalloping. Super cute! Your hair is always so amazing. I love how this look is casual yet classy! The picture of you and Emily is adorable! I'm loving this classic combination of navy and red. Love the navy striped top...I want it!